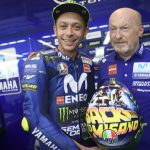 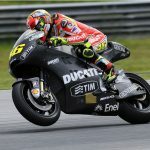 Valentino Rossi has released the first photograph of the factory Ducati Desmosedici GP12 ahead of the MotoGP pre-season test at Malaysia’s Sepang circuit. 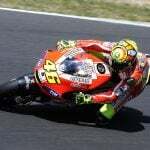 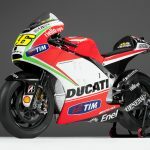 The Doctor and Ducati teammate Nicky Hayden will test the GP12 alongside the other MotoGP teams and their race bikes this week to prepare for the upcoming 2012 season. 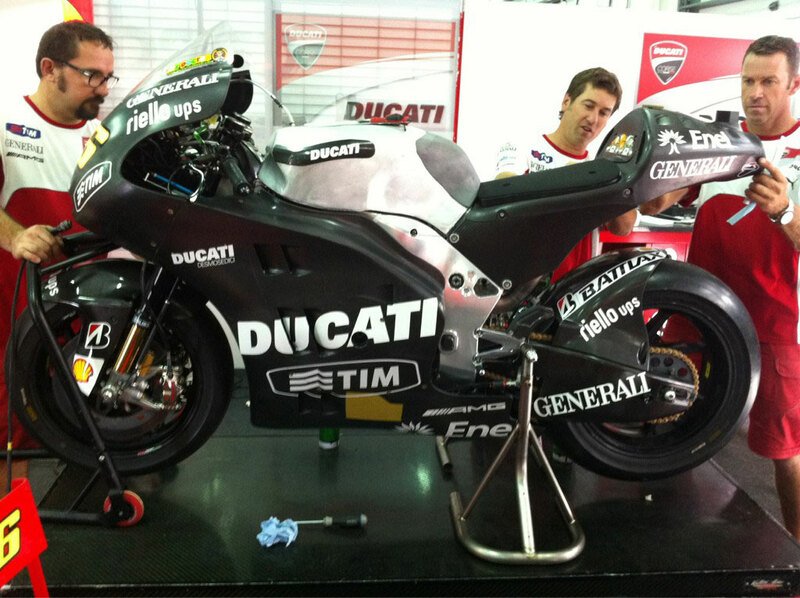 The GP12 is said to be made of 90% new components, including an aluminum frame, a conventional design for most MotoGP teams but new for Ducati coming off of the ultimately unsuccessful carbon monocoque design. Expect a full announcement from Ducati about the Desmosedici’s features in the next few days.